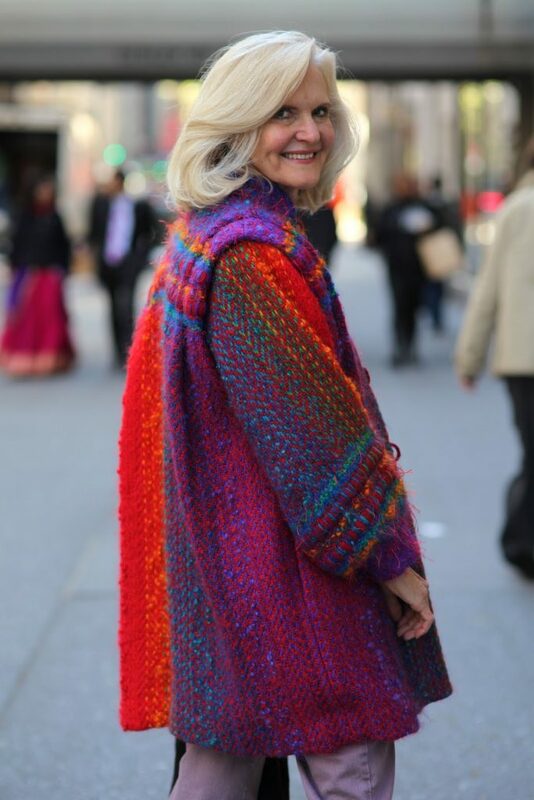 I noticed this woman’s wonderful coat from across the street on 5th Avenue. I quickly rushed up to her and asked if I could take her photograph. It’s always refreshing to see a burst of color in a crowd of people mostly clad in black. 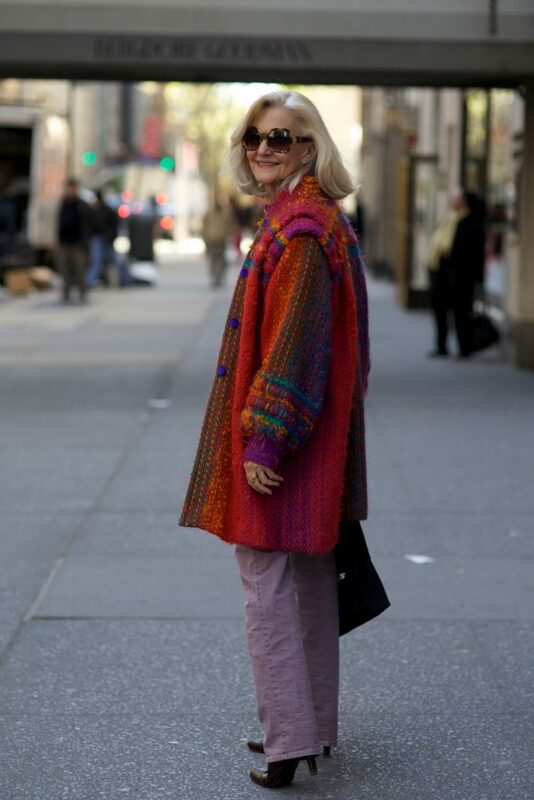 She was happy to pose for a shot in front of Bergdorf’s and even gave me view of the back of her amazing jacket.